200 x 78 x 45 cm on 145 x 120 x 5 cm base. Penthelicon marble and argon gas light. New Arts Centre, Roche Court, Salisbury. During the day a thin line of blue light pierces the white marble. 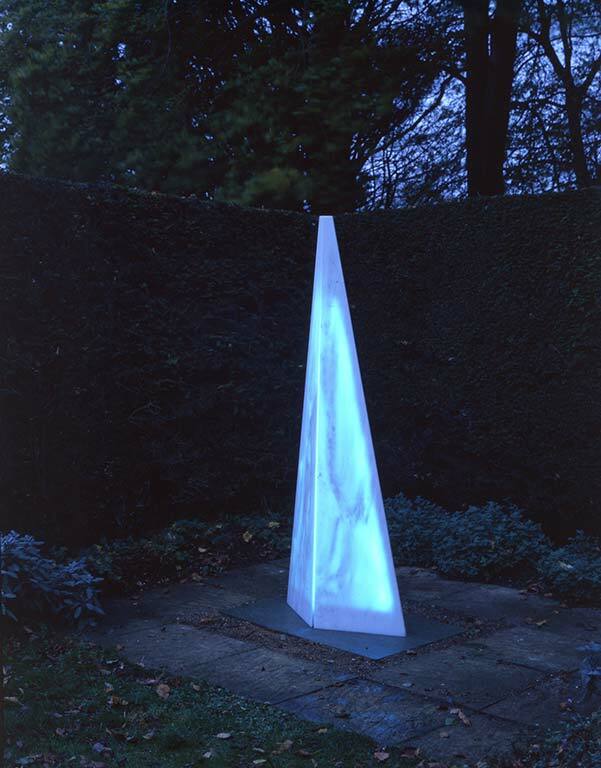 As dusk falls, the blue inner light gradually suffuses the whole sculpture and the clean geometry of its form is softened by the liquid patterns in the grain of the marble. The inner space of the sculpture gains vitality as the outer lineaments of form dissolve with the approach of night. The central concept is of light held within matter. 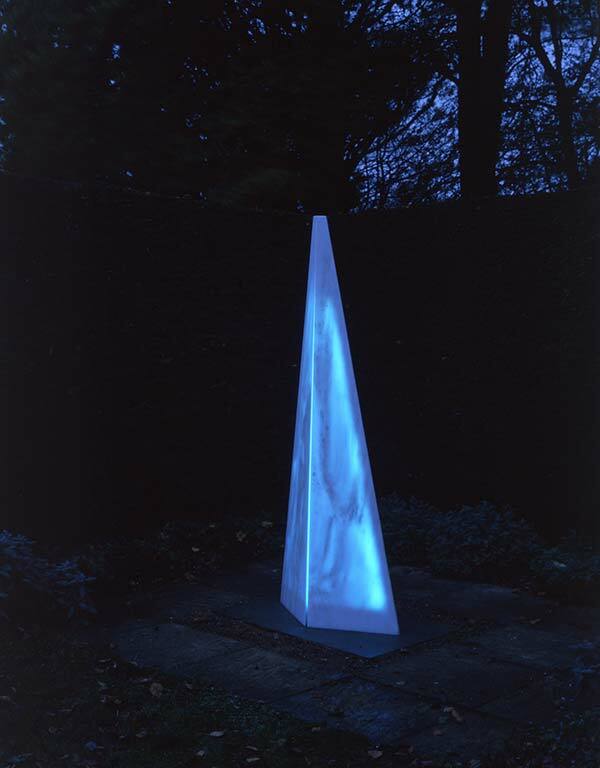 Inner Light II is also an example of Liliane Lijn’s interest in geometry. In plan it consists of 2 juxtaposed equilateral triangles, whereas in elevation one side is at right angles to the base. This results in an apparent inclination.